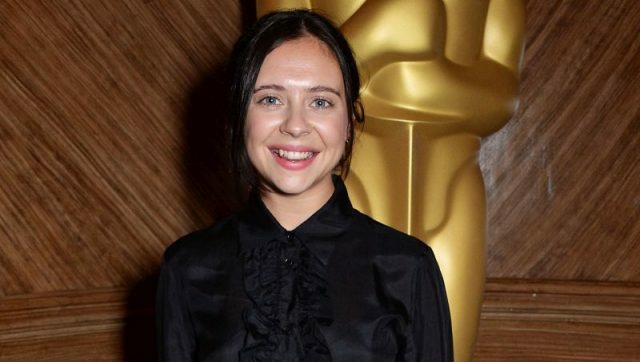 According to Deadline, Bel Powley (White Boy Rick), Karen Pittman (Luke Cage) and Desean Terry (Shameless) have officially been cast in Apple’s upcoming morning show drama starring Reese Witherspoon and Jennifer Aniston. Powley is set to play the role of a driven production assistant named Claire Conway while Pittman and Terry will portray the roles of producer Mia Jordan and co-anchor Daniel Henderson, respectively. The series, which has already received a two-season and 20-episode order and created by Michael Ellenberg (The Leftovers) with Kerry Ehrin serving as the series’ writer. The untitled project follows the lives of the people who wake up before dawn and deliver the morning talk shows on TV. It also stars Steve Carell (Beautiful Boy, Welcome to Marwen) as Mitch Kessler, Billy Crudup, Gugu Mbatha-Raw (Black Mirror), Nestor Carbonell and Mark Duplass. The upcoming drama will also mark Aniston’s return to television for the first time in 15 years since starring in one of the main roles on the hit NBC sitcom Friends, with the actress also having chosen to focus on film roles including the comedies Horrible Bosses and its sequel and Office Christmas Party and is set to star alongside Adam Sandler in the upcoming Netflix comedy Murder Mystery, marking their second collaboration after the 2011 comedy Just Go With It. Witherspoon made her main role television debut in last year’s Big Little Lies, for which she also executive produced the series, and it resulted in widespread acclaim for both the actress and the series, with the second season recently wrapped its production and set to debut sometime in 2019.